These days we spend a lot of time in our vehicles, commuting from one place to another. Sometimes these vehicles double up as homes, especially when people are camping outdoors or visiting unfamiliar areas. They can also be the venues for informal meetings with friends. Communication devices like phones have also become an undisputed part of our daily life. They are multi-functional devices which are used not only for communication but also for entertainment purposes. They are very useful for people who are continuously on the move and work outdoors. If you have low power devices which lose power very fast, it can create a problem while you are traveling. So, it is better to have a car charger with you. There are various types of car chargers available in the market. Often people prefer a dual USB charger because it is convenient, and you can charge two devices at the same time. A dual USB charger is one which has two ports. This means that you can charge two devices simultaneously. This is advantageous as you don’t have to wait for one device to be charged fully before you connect the other. Not only this, there are several other advantages of dual USB car charger and there some disadvantages as well. 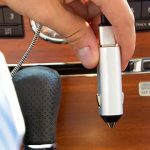 Let’s have a look at these, so you can decide if using this type of car charger will be beneficial for you or not. 1. You can charge two devices at a time: As mentioned earlier and as the name indicates, this type of car charger has two USB ports. You can attach two devices and charge them at the same time. This means that if two of your devices are low on battery, you can charge them simultaneously and use them. 2. No effect on speed and efficiency: You may think that since there are two devices attached at the same time the speed of the charging will be slow. However, that is not the case. Although there are two USB ports and two devices can be attached at the same time, the speed of the charging remains the same. Both the devices can get charged quite quickly. The efficiency of the charger is also not affected due to the increase in the number of devices. It will work with the same speed and proficiency irrespective of the number of devices attached. 3. Universal USB port technology: Dual port USB car charger is compatible with smartphones and tablets with different operating systems. They work with all of them in the same way. This is because of the universal USB port technology being used in these chargers. 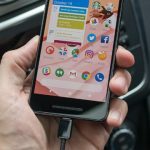 This means that if you have an Android phone and an iPhone you can charge them both at the same time using the same dual port USB car charger. 4. Vibration proof and fireproof: While we travel in the car it bumps and vibrates owing to the condition of the road. If you are using a car charger while driving in such circumstances, your charger will also vibrate. Dual ports USB chargers are most suitable in such situations. They do not get affected by the vibrations of the car as they are vibration-proof. These chargers are fireproof as well. 5. Adaptable to climatic conditions: Even though most cars these days are air-conditioned, the charger needs to be adaptable to the weather conditions. Dual ports chargers can work effectively in extreme heat as well as extremely cold conditions. Extreme weather has no effect on the performance of the charger. 6. Portable: Dual ports USB chargers are smaller in size. Their design is very compact, and hence, it is very easy to carry this charger wherever you go and make use of it whenever necessary. 7. Fit in easily: As mentioned earlier, these chargers are small and compact and can fit easily into the cigarette lighter outlet of the car and stay there firmly. 8. Durable: Dual USB chargers are made of sturdy materials including metals like aluminum. This makes their body very strong and durable. This is the reason why these chargers last for a longer period. 9. Appearance: Made up of sustainable materials and painted with different attractive colors, these chargers have a smart appearance. Dual USB car chargers are beneficial in many ways. However, they have some disadvantages also. 1. 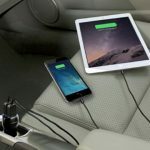 Cost: As the benefits gained through dual USB car chargers are more, the price of the product is also more as compared to other types of car chargers available in the market. 2. No adaptability with some car models: These chargers are made with advanced technology, and hence, they are not adaptable with some of the old models of cars. So, you cannot use these chargers if your vehicle is of an older model. Before purchasing a dual USB charger, so make sure that it is compatible with your vehicle. The pros of dual USB chargers far outweigh the cons. Although they are a little expensive, the cost is worth the benefits they offer. If you worry about the price and go for a cheaper product, it is highly possible that you may end up buying a product which is not durable and cannot give the expected performance. Additionally, there is always a danger of your device getting damaged with low-quality products. The financial loss you will suffer will be much more than what you would pay for a dual USB charger. This type of charger is capable of meeting the needs of users while keeping their devices safe from risks like overheating, high current and short-circuiting. They also cause no harm to low power devices and give high performance for high power devices. Dual USB chargers are extremely suitable for users who need to travel continuously. Make use of them and have your cell phone batteries fully charged even while you are traveling.